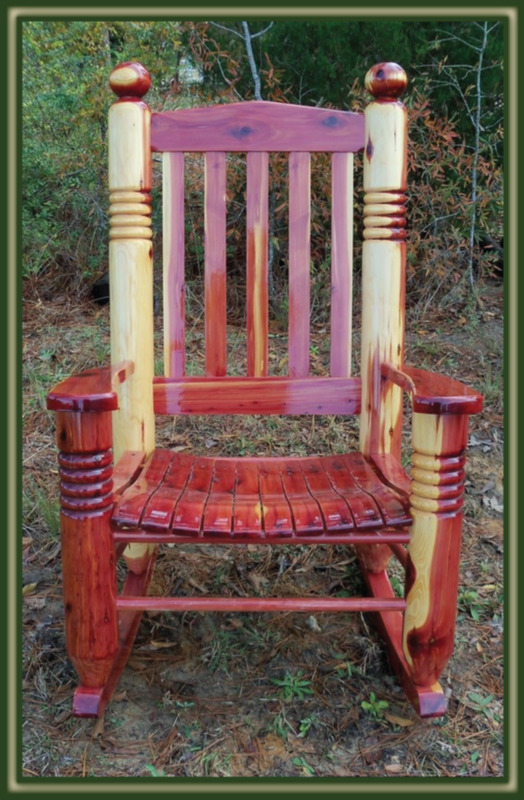 Well...not everything we sell is made of cypress, but how can we NOT sell a rocking chair this beautiful and unique?!? 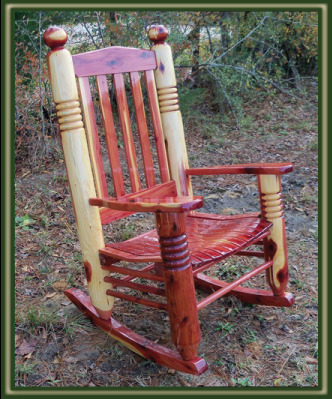 Suitable for indoor or outdoor use, this rocker will make hours on the porch even more pleasant and nap time in the nursery more comfortable. The Big Ben will accent your homestead with a timeless piece of Americana for years to come! *At this time, the Big Ben Rocker is only available for pick up at our facility.